I was very upset at first when I arrived at my foster home. You see, my owner passed away and I had no idea why I was here in this strange place. I am so glad that at least I have my brother here with me. 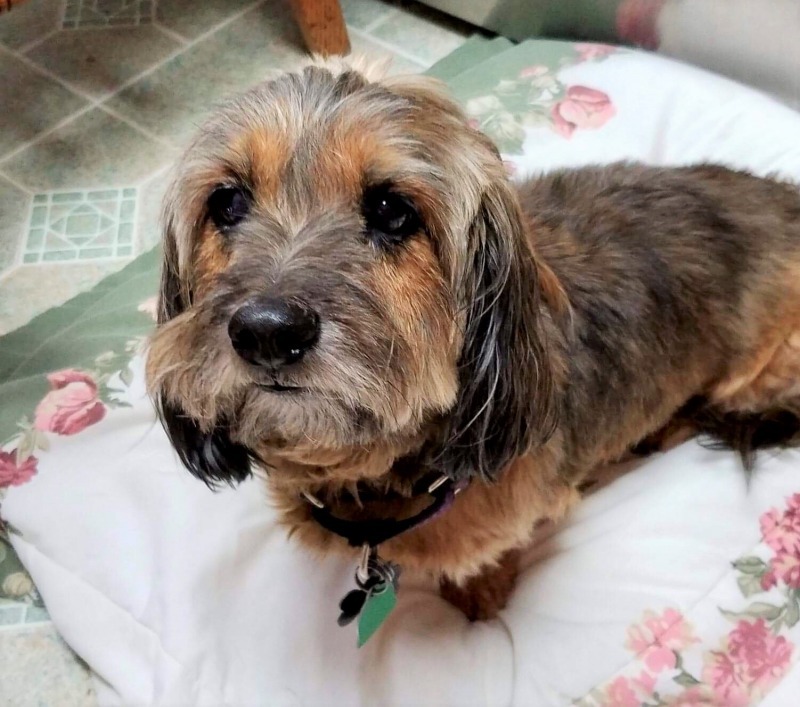 I am a very sweet 9 year old doxie mix. 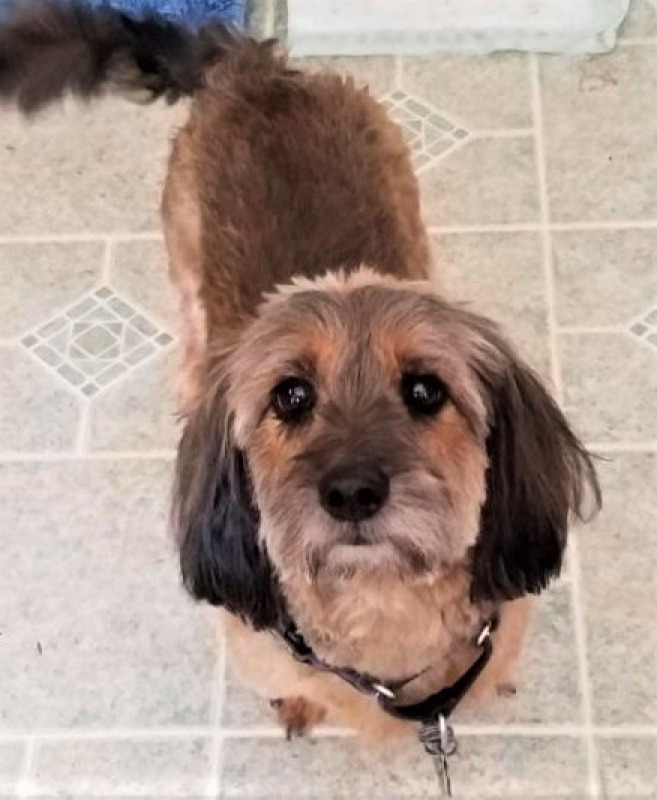 I am part wire haired doxie, part long hair doxie and part terrier of some sort (my foster mom's guess). No matter what they say, I am pure sweetness. I am house broken for the most part, but could have an accident if not left out to go potty. I am not fond of the crate and will howl and cry if you put me in one, so I would do best with an owner who would be home a lot or a retire person. I love to be by your side and get upset if I do not see you. I get along great with the other dogs that are in my foster home. I love to explore in the big yard here at my foster mom's house. 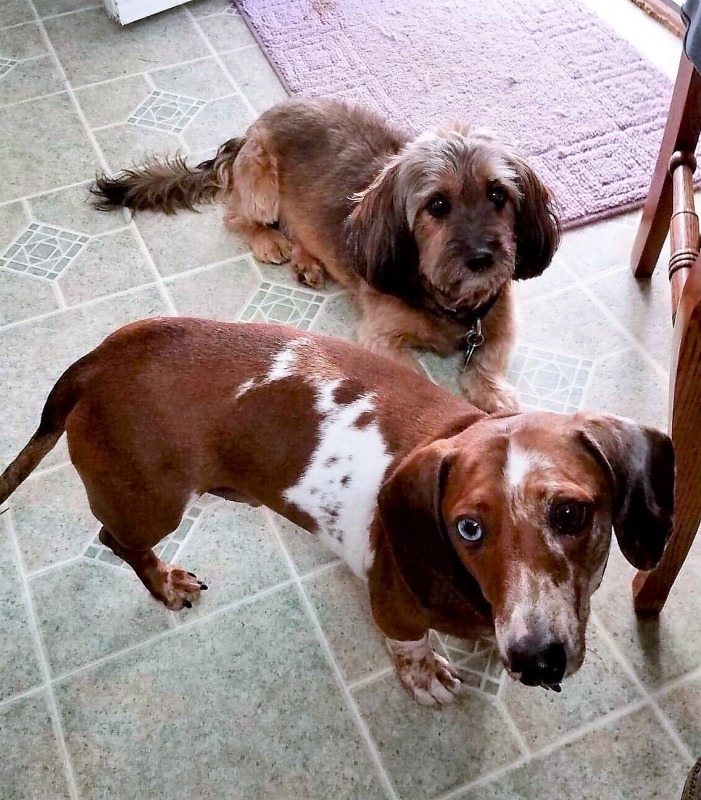 I am part of a bonded pair, so I will have to be adopted with my fur brother Champ #12534. Must drive to Frederick, MD to meet/adopt Quincy. Quincy's adoption fee is $150 but waived for senior adopters. Must be adopted with Champ #12534, his adoption fee is $275.